Whilst Clinical Pilates has been around for over a decade, Clinical Yoga is fairly new on the physiotherapy scene. 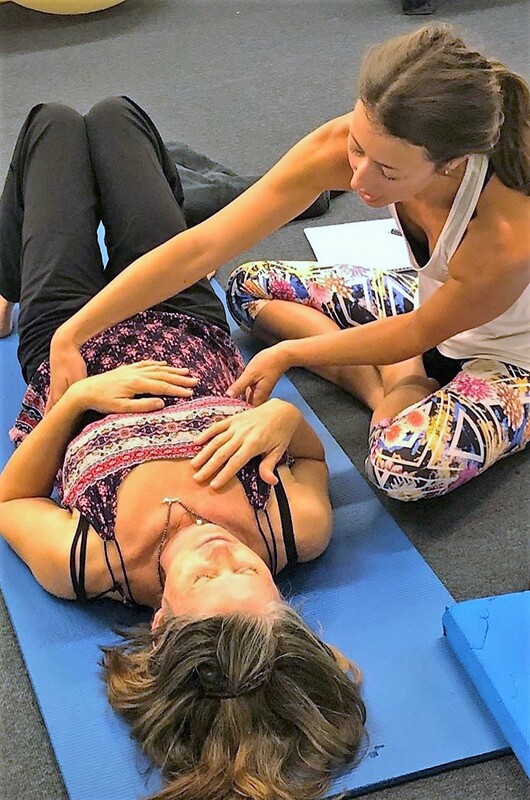 I recently attended the Unite Health Level 1 and 2 Therapeutic Yoga Course with Irene Ais, a musculoskeletal physio with over ten years of yoga experience. 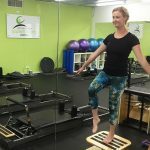 I came away armed with greater knowledge and awareness of body alignment, breathing techniques and how yoga can assist with injury management. Yoga is a whole-body practice involving physical postures, breathing techniques and meditation/mindfulness. It is used to enhance health, wellbeing and self-awareness. Modern practices tend to focus on the physical movements and can often be quite fast paced. However traditionally, physical postures and relaxation breathing were the prelude to setting up for a meditation practice. Clinical Yoga is a therapeutic practice taught by physiotherapists. As physios we have strong backgrounds in anatomy, structural body alignment, pathophysiology and injury management. We are therefore well equipped to use yoga therapeutically and determine which poses are appropriate for an individual and their injury/condition. In addition, being able to determine which poses are not appropriate for certain conditions is crucial, to give advice on what to avoid in bigger group classes. How is it different to a big group class? Clinical Yoga is individualised to suit the needs of the person attending. So, like Clinical Pilates, this may be a 1:1 session or a very small group class. Close supervision allows for correction of postures and modification of poses. This ensures injuries are being managed appropriately and not exacerbated. Not all poses (eg backbends, forward folds, spinal twists, arm balances) will be suitable for everyone, and may be contraindicated for a particular injury. Through assessment and 1:1 supervision your physio will be able to determine this. How can Clinical Yoga assist with injury management? Our bodies are held together by connective tissue, a collagen web of varying thickness throughout the body. This fascia attaches, stabilises, encloses and separates our muscles and internal organs. It can enhance or resist movement, stability and mobility in the body. Yoga poses have been designed to work the body’s superficial and deep fascial lines, to lengthen areas of compression/tightness and strengthen areas of weakness. Clinical yoga uses a combination of sustained stretches to lengthen tightness in the deeper layers of connective tissue, and poses that build strength in areas of muscular weakness to create balance between the two. The body and postural awareness that comes with regular practice may also assist in injury prevention. Why is focusing on breath important? One component of practicing yoga is breath control. Most of us now lead fast paced, busy and often stressful lives. This can lead to breath holding or only shallow breathing, initiating an increase in the stress hormone, cortisol. Ensuring we consciously take long, slow, deep breaths, which calms the nervous system, helping to reduce the impact that stress has on our body. Who would benefit from Clinical Yoga? Yoga at its core is for everybody, regardless of age, gender or physical ability. Unfortunately, the modern classes often give the perception of needing to get into difficult postures, requiring great strength and flexibility. People often think that you must be young, fit and strong to attend. Clinical Yoga is designed to bridge this gap, and allow anyone, regardless of body type, age and fitness to reap the benefits that a yoga practice can bring. While we currently don’t offer Clinical Yoga classes at PMPP, it is something we are keen to introduce in the future. 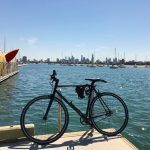 In the meantime, for more information contact Sally at sally@portmelbournephysio.com.au or to arrange a 1:1 session.